John Uhrich is a professional illustrator. His motto is “Have sketchbook, will travel.” Recently on his art blog, Duck Duck Gorilla (yes, that’s the name!) 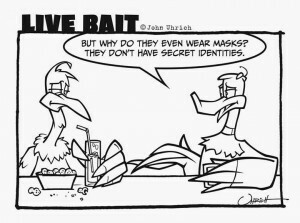 he’s been trying his hand at a new on-line comic strip, Live Bait. 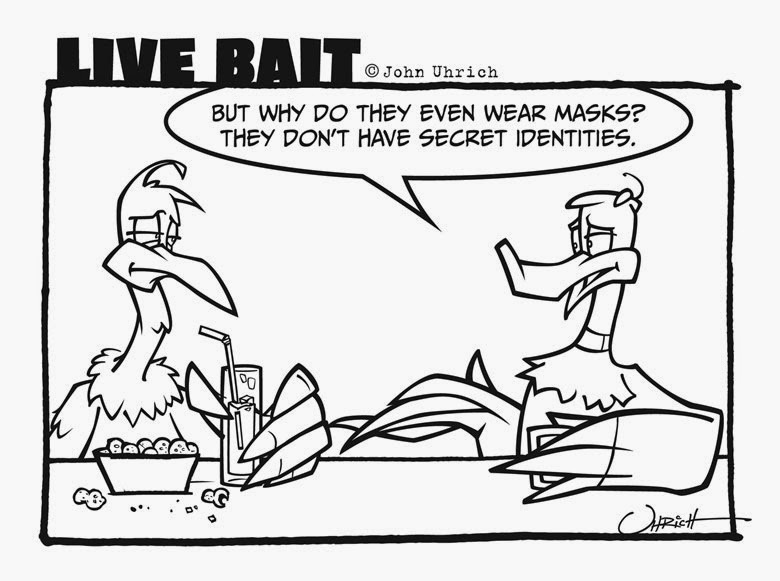 Two talkative birds doing what John considers one of his more prominent skills: Geeking out about comics and fandom.